Buy NOW in Room 115 or 234 you do not want to miss out on the 2018-2019 yearbook. Purchase your copy while supplies last! Our FIRST Offer of the year can save you $10 ... purchase your book by Friday, Nov. 9th to save. You can still start a payment plan at school with a $20 deposit to lock in the sale price. See Mrs. Glenn for details. Senior throwback pictures and quotes are due by Friday, October 19th. Submit an original copy of your picture, bring it in on a flash drive, or email it to us at thesoutherneryrbk@gmail.com. This can be a baby picture or a favorite photo. Submit your senior quote using the button below. You must login to submit your quote. Don't miss this chance to put your personal touch in the yearbook! Our Back-to-School SALE Offer is about to expire... purchase by Friday, Sept. 14th to SAVE $15. 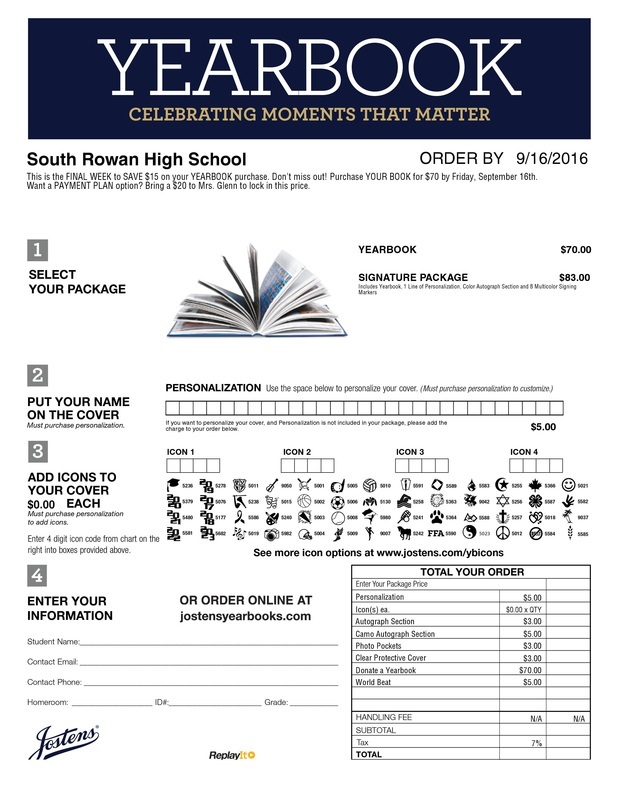 Look for your order form in Seminar this week! 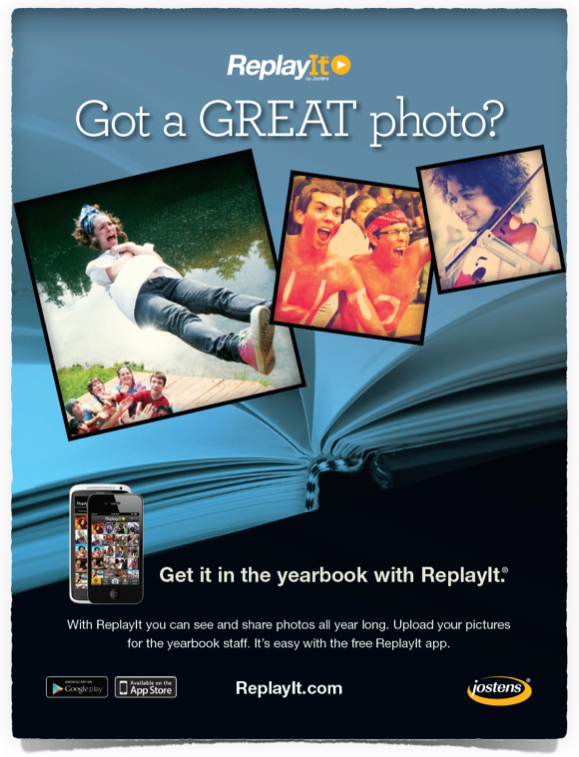 REGARDLESS of whether you plan to purchase, please take a picture to be included in the yearbook! Share photos from your special moments! Use the FREE ReplayIt app to share today!